Well, this last week has been a busy old-time, what with the house hunting, writing, working and eating out, it disappeared in a flash. So here we are chatting away again and talking about our little bit of Chianti in Tuscany. Last Sunday my man and I popped into C’era una Volta Ristorante for sunday lunch. ‘What again?’ I hear you ask. Well, you know, if one is lucky you might find a local restaurant that ticks most of the boxes and it is so convenient to keep going, especially when the owner treats you like royalty, serves perfect gluten-free pasta and fresh food and herbs straight from his own orto (vegetable garden). Paolo does all these things and more. 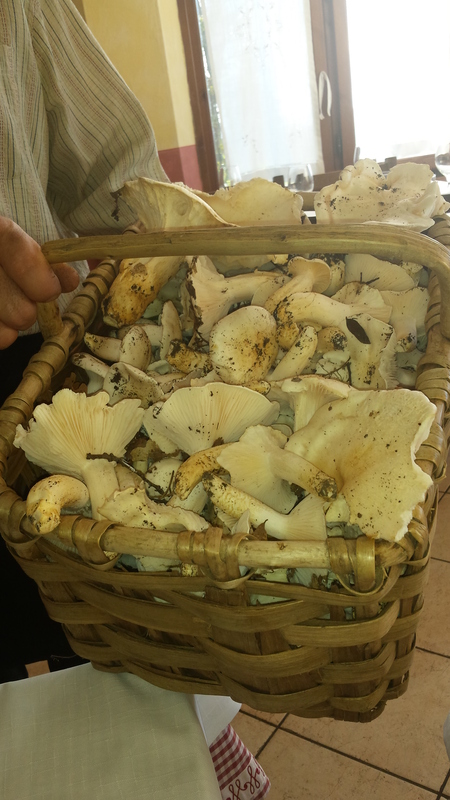 He goes out to the woods to find fresh mushrooms or buys from a local contadino who has beaten him to it! He and his wife Gaia make the most delicious Tiramasu and a digestivo to die for, Crema di Limoncello. This last time, Paolo showed us the latest chanterelle harvest and you could still smell the earthy woodland aroma in them. Heavenly…. Now, you may remember that we have been house hunting, as our landlady wants our little villa back at the end of the four-year contract in February. She is being a little flexible so we are thinking in terms of the first of April, when the cold weather should be finished. We have viewed nine properties so far, ranging from awful to beautiful, the latter one that we really like, will need a bit of a compromise on our part, because it is a large apartment in a converted rustic property. It does have a lovely garden with great views; we must deliberate. The gorgeous Simon Baker. La Nazione. 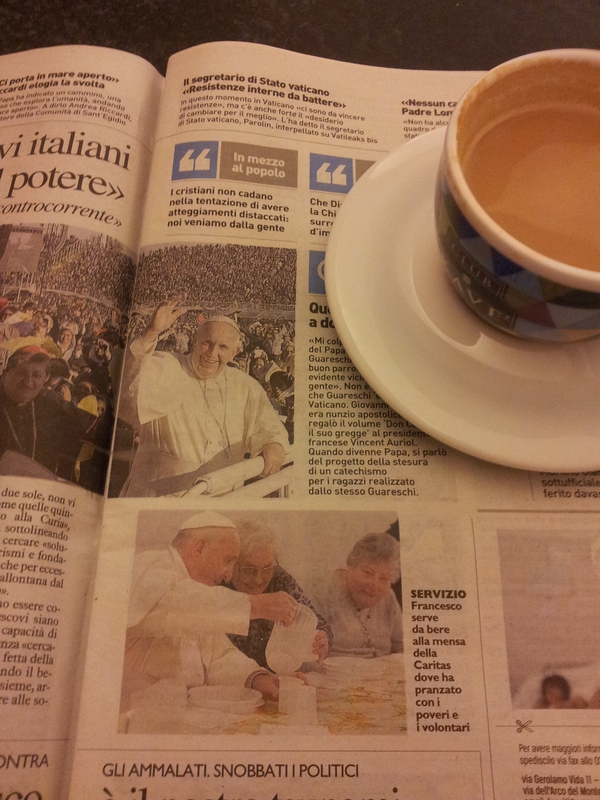 Anyway, back at Il Solferino bar in Certaldo, we enjoy our coffee and read the papers. O Dio, not again. 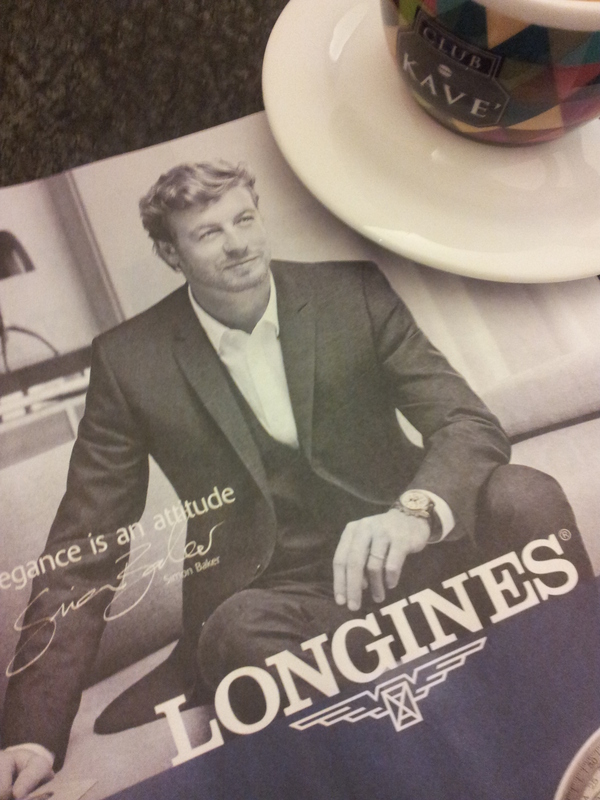 Last week it was Daniel Craig and now it’s that gorgeous blond actor Simon Baker joining us. There he is, my second choice for playing Dominic in the film version of my books, sporting another expensive watch. I say second choice, but likely now to be my first choice, as methinks Daniel will probably be too expensive. Olives and cold pressed oil. 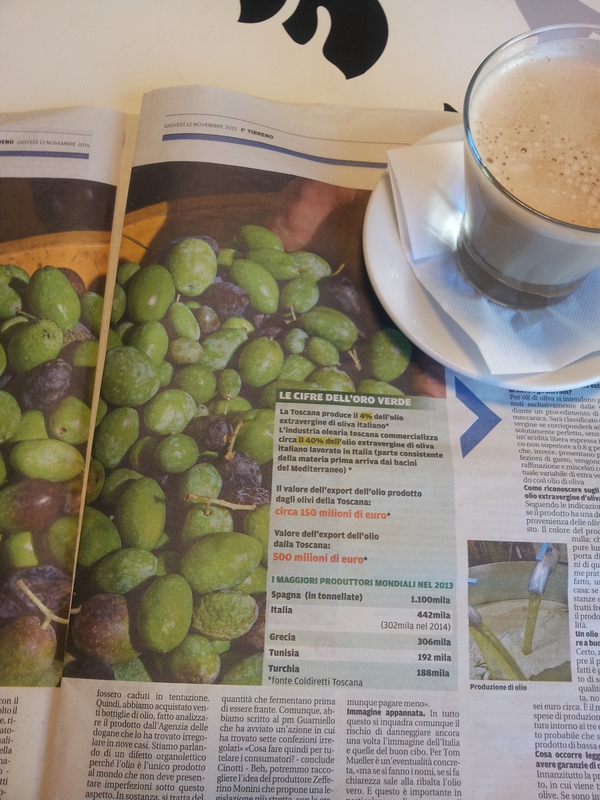 Meanwhile, and out there in the real world, the olives have all been picked and we are told it is going to be a good year for olive oil, unlike last year which was a disaster. We are already enjoying the tangy taste of the cold pressed olives; heavenly drizzled over bread or garlic toast. Mmmmm. Then, last but not least, the highlight for many Italians in the Provincia di Firenze, has been the visit by Pope Francis to Florence and surrounding areas. Thousands thronged to every appearance by this popular man, but I have to say that he is looking older and tired. He is currently having to deal with accusations of fraudulent activity within the Vatican Bank and that’s just the money side of things. However, his smiling face does seem to lift the spirits of his followers, and whilst terrible acts are occurring elsewhere, like Paris, maybe he will have some influence on the state of mind of our fellow Europeans, christian or otherwise. Finally, on behalf of all us British expats around the world, may our Parisian friends find peace and the strength to recover from these latest atrocities as soon as possible. 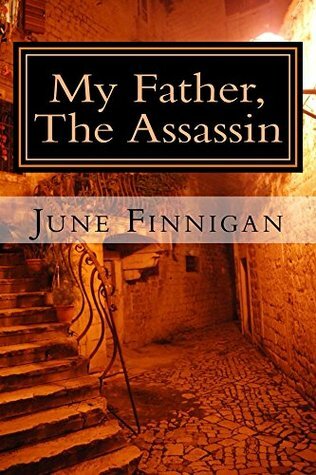 ‘My Father, The Assassin’. Book one in the series. 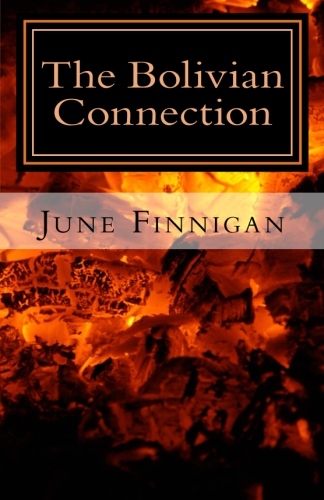 ‘The Bolivian Connection’ Book two in the series.